Policy makers and influencers, thought leaders, investors, entrepreneurs and everyone in between, from around New Zealand, and the world, supped back early morning coffees amongst introductions to the myriad of new faces and businesses who gathered. All the while eagerly awaiting the announcement of the start of the conference. What was eloquently said by Finnotec founder, Binu Paul, that “what unifies us is our passion and curiosity, coupled with our love of technology, finance and community” was indeed reflected in the participants at the sold-out, third annual Finnotec event. 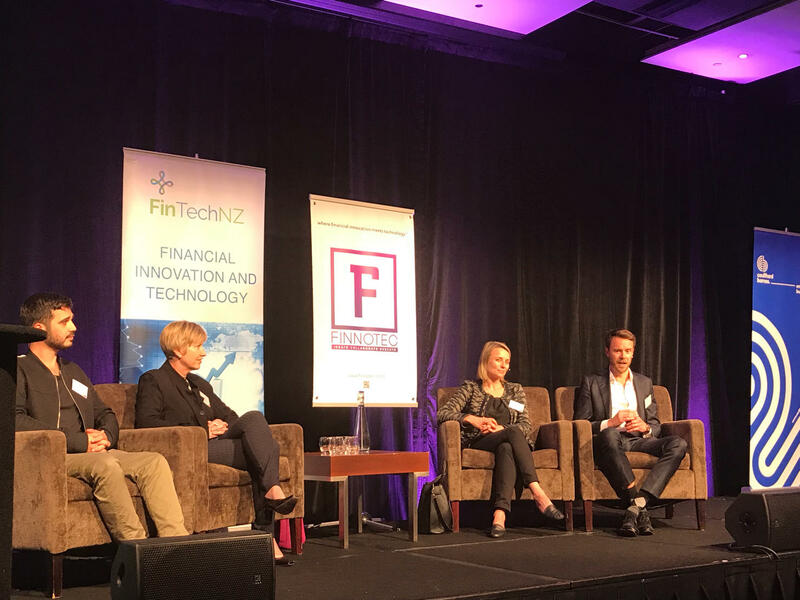 Even though this was the first year of a collaboration with FinTech NZ, Finnotec’s mission - to rally the community, influence change and enable New Zealand to be a centre for FinTech excellence, did not change. A myriad of formats including speaker presentations, vlog, start-up pitches and expert panel discussions enabled the many participants to “ideate, collaborate and execute” through topics addressing the impacts of Artificial Intelligence (AI), customer experience design, open banking, cyber security and payment solutions across the broad suite of financial services including payments, insurance, funds management and capital raising. No doubt you’ll have heard Einstein’s quote “Logic will get you from A to B; imagination will take you everywhere”. After being welcomed by Binu Paul, Founder of Finnotec, and James Brown, General Manager of FinTechNZ, this quote set the scene for the first presentation, from Elizabeth Goer, Industry Manager, Financial Services, Google NZ, who talked us through how that drove the development of their recently launched Google Lens app. The Google Lens uses AI to provide answers to items people search for using the camera on their phone. For those of you who haven’t had a chance to use it yet, this means you could point the camera on your phone to see a building in the distance and the app will give you the name of that building. Or you can scan a business card for the app to create a new contact in your phone or mix and match fashion or home décor using online store images. As a tip for those looking to get into AI she suggested Tensor Flow, which is an open source machine learning framework accessible by everyone to build, train and deploy machine learning models. Elizabeth Goer, Google, talking about Google Lens. Later in the day, Krissy Sadler-Bridge, Head of Marketing at MYOB, reminded us how the first contactless mobile payment happened in 1997 (exciting for those of who were aware of it then) and how this had set the scene for Australia’s innovation to be a cashless society within the next few years. Of course dreams and visions don’t just become reality. It takes collaboration, buy-in, trial and error and many learnings. Sometimes you’ll even see competing companies work together to achieve the same effect. This was seen a few years ago with the announce from the big five Tech firms announcing their collaboration to progress AI. This open banking initiative had the support of Hon. Minister Kris Faafoi, Minister of Commerce and Consumer Affairs, who, in his vlog, anticipated that the structure for an open banking ecosystem should be in place by mid next year. This was encouraging to hear, and in line with the launch of an open banking system in Australia (even though it will be a legal requirement in Australia, where it'snot yet considered it will be a legal requirement in New Zealand). This is good for two reasons. The collaboration across companies enables a better understanding of systems, data and therefore requirements. 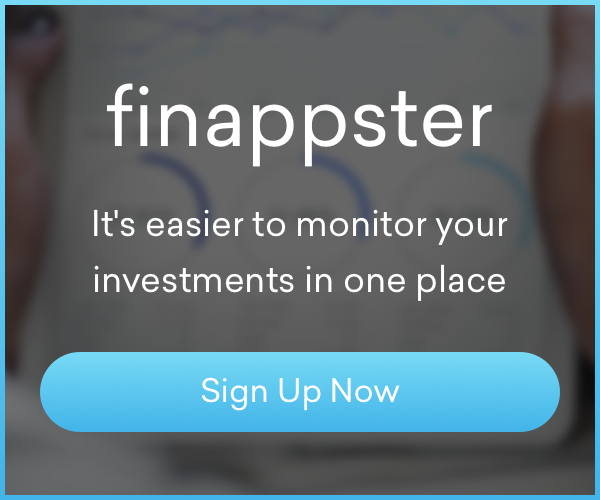 This understanding enables a standardisation of documentation (such as information required and processes) so that when a startup business like finappster comes along, it's more cost efficient for us because we may only need to set up one system to “plug in” to all various banks and financial institutes. As mentioned in the Open Banking Panel Discussion, this is in stark contrast to the UK, where open banking was a legal requirement as of 13 January, 2018. It seems no standardised documentation has been developed much to the chagrin of startups. The impact of this seems to be that to get things up and running more quickly startups are aligning themselves with certain institutes, rather than providing the ease and convenience of options for their users. (From left) Ossie Amir, Choice, Maxine Elliot, Paymark, Nicole Buisson, Xero, Andrew Dentice, HGM, in the Open Banking Panel discussing the challenges and learnings of open banking to date from across both New Zealand and overseas. The other reason, as mentioned by Richard Dellabarca, CEO of the New Zealand Venture Investment Fund (NZVIF), is that in New Zealand we unfortunately seem to be paying three to four times more, than most other countries in the world, for the same banking products and services. Richard conveyed an open banking structure would enable people to manage their money the way they wanted to, and would force banks to become more competitive in this space. Karen Teoh, from Singapore, stopped into New Zealand to present at Finnotec, on her way to South Africa where, as CEO of her company, Kommerce, she's using blockchain, cryptocurrency and data analysis to build trust in emerging markets. She asked the room whether participants thought cryptocurrency was over-hyped and the majority of hands went up. However less than a handful had actually participated in an Initial Coin Offering (ICO), or even bought or sold any cryptocurrency. Kommerce aims to use the benefits of blockchain to empower African business to access capital markets and for capital markets to safely and efficiently finance African business. This sits at the other end of the collaboration scale as the technologies themselves are open source and decentralised. Karen Teoh, Kommerce, and the benefits of blockchain for their business. The growth of this well-known model which predicates the enabling of a trust-less society to transact without a middle-man (a.k.a. bank, lender or financier) was also being used in varying degrees by many companies at the conference. Even the likes of the Reserve Bank of New Zealand (RBNZ) are considering issuing their own digital currency, through their release of their paper on the Pros and Cons of Issuing a Central Bank Digital Currency earlier this year. It seems in order for something to be considered, thinking must be applied to existing ways of thinking, although we at finappster are still speculating over the popularity and uptake of an RBNZ-issued cryptocurrency. For some, the ideas presented were fantastical, however other conference speakers off-set this with their “been there, done that” experiences and gladly shared their successes and learnings. Ashley from Harmoney talked about how Harmoney motivated their customers using emotion and how they focused on empathy to influence their digital design. For obvious reasons Josie wasn’t able to hand out her own business cards, but ASB’s Programme Lead for Josie, Anita Parag, was able and willing. Behind the scenes Josie’s developer, FaceMe CEO and founder, Danny Tomsett outlined how chatbots were a great first step to provide consumers with a 24/7 accurate, consistent and reliable presence. But FaceMe focused on more human-centred characteristics such as empathy, relatability and intuitiveness to create value through customer engagement. He believes that within the next 10 years only 15% of interactions with a business will be with a human. This is being led by the 233% growth of Facebook Messenger chatbots, followed by 129% growth in use of digital assistants in US households in 2017. Interestingly, it seems that 71% of financial institutes believe AI is capable of becoming the face of their brand. Tomsett said “Great AI should be designed to enhance what humans do and how they operate. Much like the human mind, Josie’s knowledge will develop with information through human interactions over time”. Carole Barney, Head of Data Science Research at Xero, echoed this sentiment in her vision of the future where AI would move accountants away from the manual ledger entry work to free their time up to focus on advising clients of best practices. Where data is king, implementation of transparent practices and security were two focuses being addressed by Xero to become a trusted data user in AI. Barney supported the “great AI” sentiment, “Innovation comes from the customer, not the technology”. Xero also sponsored the startup pitch competition where early-stage FinTech startups pitched for space in Xero’s new Rewired community space. At varying stages of development, we saw ForwardCaster (equity strategy tester), Hatch (equity trading platform enabling NZ’rs to buy US stocks at a fraction of their actual cost), Choice (a new payment platform which contributes 50% of its transaction fees to a New Zealand charity), Cove (get insurance through Facebook) and Jrny (AI in Insurance) to name a few. With 30% of the votes (including participant vote) Hatch took the prize. 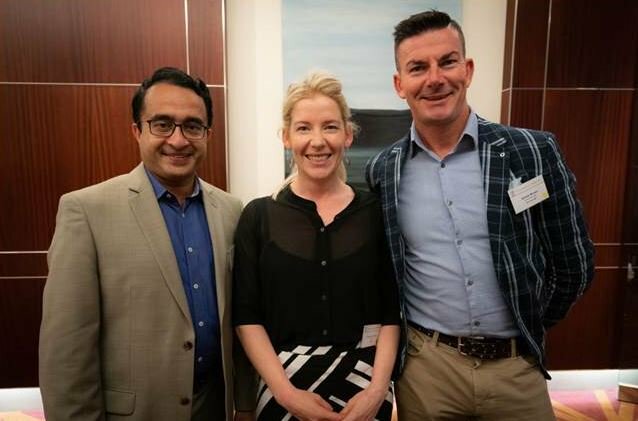 (From left) Binu Paul, Finnotec, Kristen Lunn, Hatch, (winner of the Xero startup pitch) and James Brown, FinTech NZ. It was sobering to see to Richard Dellabarca’s view on the state of investor funding in startups in New Zealand. Richard Dellabarca, NZVIF, on the state of startup funding available in New Zealand. This pales in comparison to funding available in the US and has provided some debate among participants as to exactly what investment is available for a startup in its different growth stages. 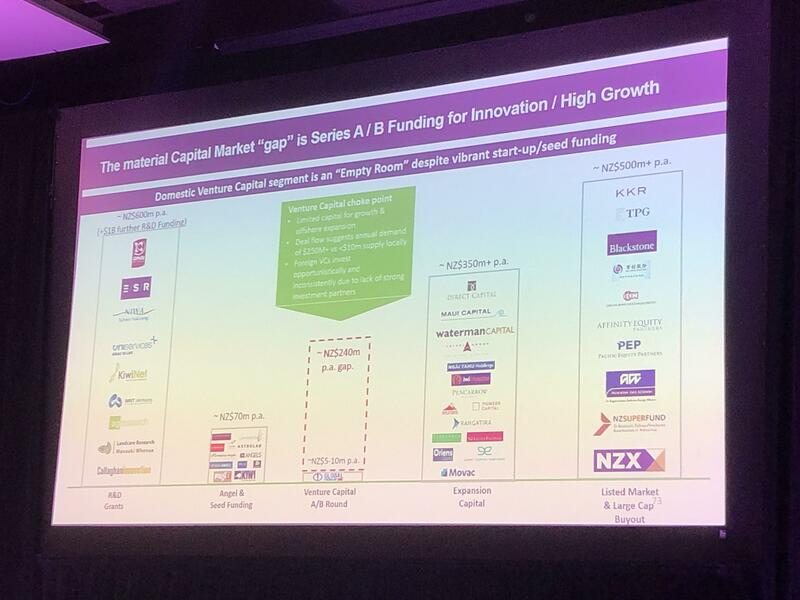 New Zealand is relatively new to the world of startups and investor funding and certainly these discussions are ripe for highlighting what has and hasn’t worked overseas. So like our KiwiSaver superannuation scheme we can learn from the mistakes of others and implement the best possible solution for us here. Given larger organisations’ challenges with their legacy systems, supporting startups via investor funding and know-how would expedite New Zealand becoming known as a centre of FinTech excellence. However, with the rapid speed of changes and new technologies becoming available, discussions and decisions will need to take place quickly if this New Zealand is to keep up with other progressive tech hubs like the US, Singapore and Estonia, and become known as a centre for FinTech excellence. What investments should you buy when a recession is ending? Find out what an economic recovery is, and which industries to consider (or avoid) buying investments in. Here are some pros and cons of reinvesting your dividends based on your portfolio management preference. Easy Crypto's mission is to make cryptos accessible and understandable for all New Zealanders.